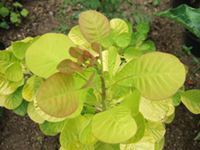 The Smoke Tree has smooth round green leaves which colour up nicely in autumn. 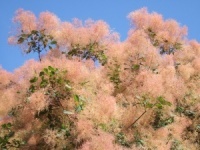 In June and July it produces plume-like inflorescences up to 20cm long. They turn smoky-grey in late summer. 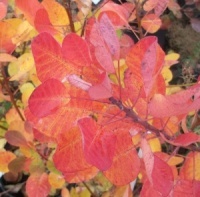 A much grown and still popular purple leaved shrub of easy cultivation, leaves an attractive display of plum purple red in spting suffused with yellow and orange tones as autumn takes effect. 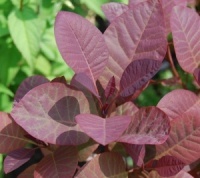 A tall and vigorous hybrid Smoke Tree, with charming soft purple foliage that turns scarlet in autumn. 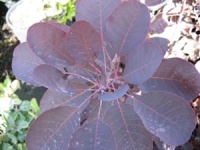 More spectacular are its flowers, which appear in long, conical clusters of purpley-pink.